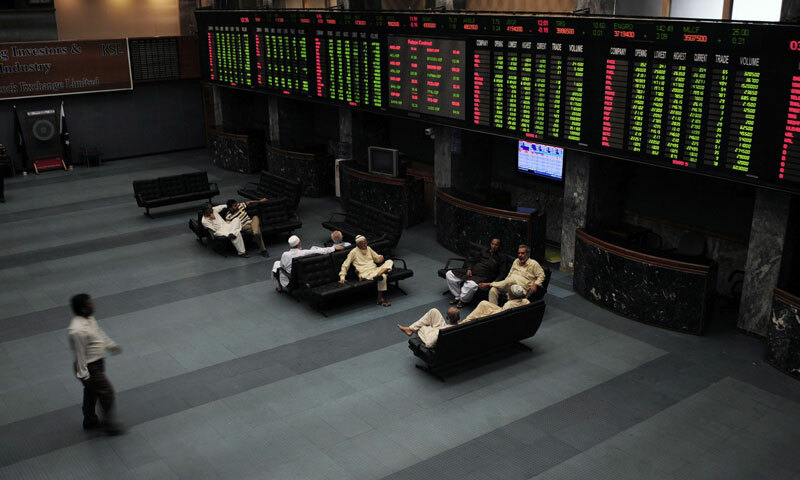 KARACHI: After taking heavy beating a day ago, the KSE-100 index was seen jumping in and out of the red until the final hour on Tuesday, when it managed to settle at a small loss of 14.80 points at 26240.41. The investor interest was low and final figures showed net outflow in the minor sum of $0.13 million. Day traders and punters entered in larger numbers to make quick gains and purchased stocks worth $3.37 million. �Trash stock� such as Samba Bank�s right issue, which closed at price of only 78 paisa, saw seventh highest volume for the day at 8 million shares. Most other volume leaders also belonged to the second and third tier stocks. Meanwhile mutual funds were seen to be major sellers for the second day, offloading stocks worth $4.80 million, which some market participants attributed to large redemption calls. Analyst Asad I. Siddiqui at Topline Securities stated that institutional interest was seen in PTC as positive decision on transfer of properties took place in CCI. MCB Bank and ABL announced their results. MCB�s result was in line with market expectations while ABL�s was higher on the back of tax reversal. At the tail end of the session, investors� interest was seen in Engro, LPCL, EFoods and FCCL amongst others. Ahsan Mehanti stated that stocks closed lower on concerns for security situation in Sindh province. Uncertainty over outcome of Turkish RPP damages claim of $2.1bn from GOP, delays in privatisation of SOEs and circular debt concerns in energy sector were major reasons for stocks fall. Analyst Ovais Ahsan at JS Global stated that the market closed marginally in the red zone as yesterday�s fall kept the bulls in a cautious mood. The market should resume upward momentum as selling from local mutual funds following a large redemption from a government pension fund exhausted. The ongoing result season should also invite volumes in top tier names, analysts said.